G.I. 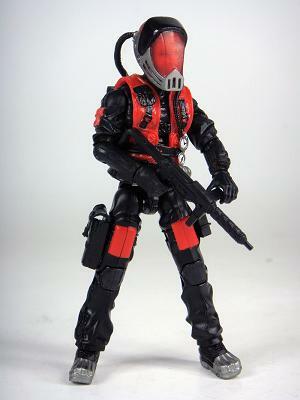 Joe: Rise of Cobra Red Lamprey Figure - eBay Leak! I seem to have developed some sort of voyeuristic fascination with the work of eBay seller ws_toys over in China, as I just can't help but marvel at the constant scoops he is producing every day. One of our questions to Hasbro in the recent Q&A actually concerned this very issue - how, due to the speed of information spread on the Internet, along with distant and apparently poorly secured low-cost manufacturing, they are now seemingly the last people to release images of their products rather than the first. Well, in keeping with that proud new tradition, check out the latest auction that ws_toys has just posted - a Red Lamprey figure from the upcoming Rise of Cobra toy line! Click the image for a larger view, or click here for the auction itself. Only 6 left - act fast if you want to have an early copy.